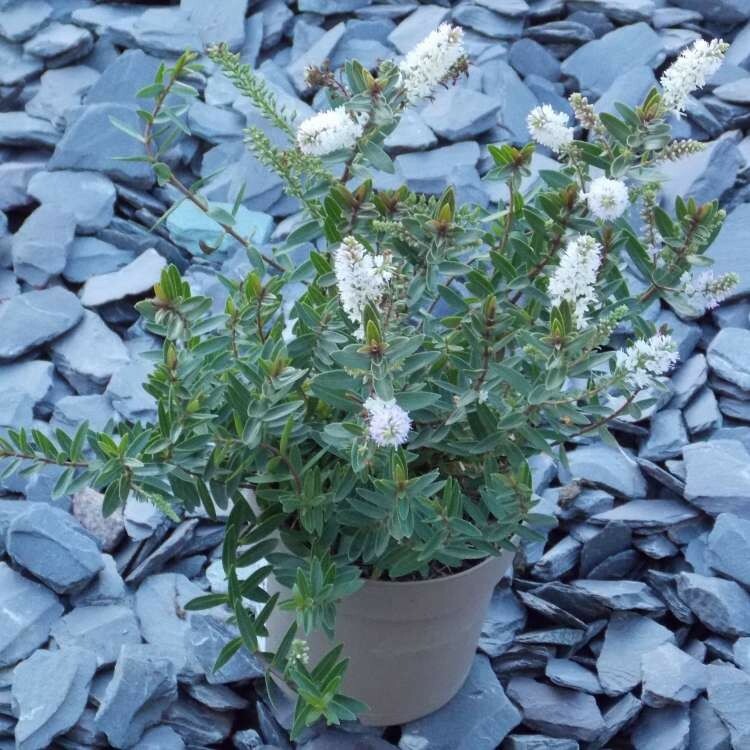 Hebe Champagne is one of the easiest to grow evergreens available, it is compact and low growing and freely produces masses of white flowers kissed with a hint of soft lavender-pink from summer right in to Autumn. It is not unheard of for the flowers to remain up to Christmas time in mild gardens. These appear above lustrous, evergreen foliage that clothes slender purple stems. 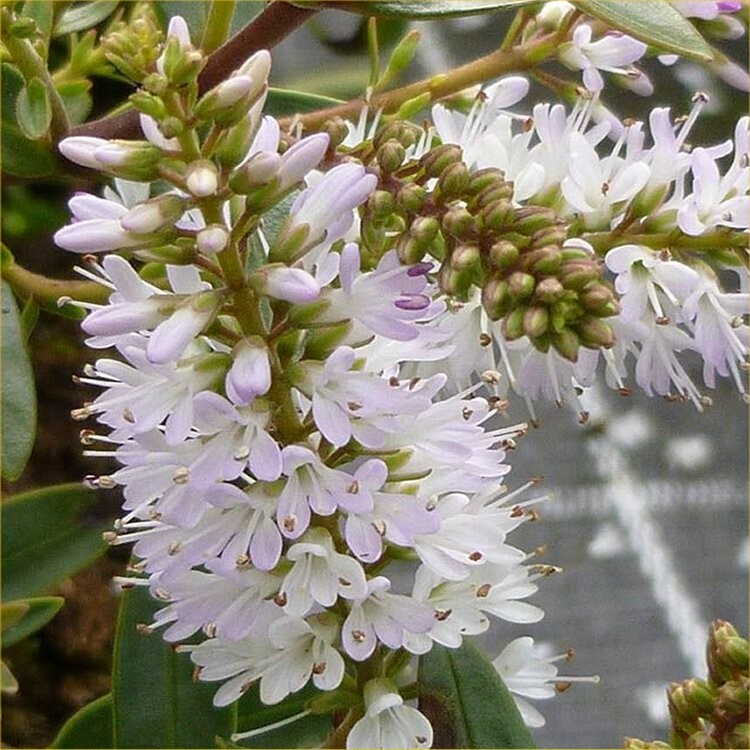 Very tough and forgiving, this long-flowering Hebe is an ideal low-maintenance shrub for a bed or border in sun or partial shade, it can be planted en-mass for landscaping a larger area, or also used in seasonal planters combined with other evergreens and flowers. In autumn and winter the foliage colour intensifies, and hues of deep plum emerge. Highly recommended, Hebe Champagne is supplied in approx 1 litre containers, and will be covered in buds and blooms in season, typical stock as supplied in pictured.